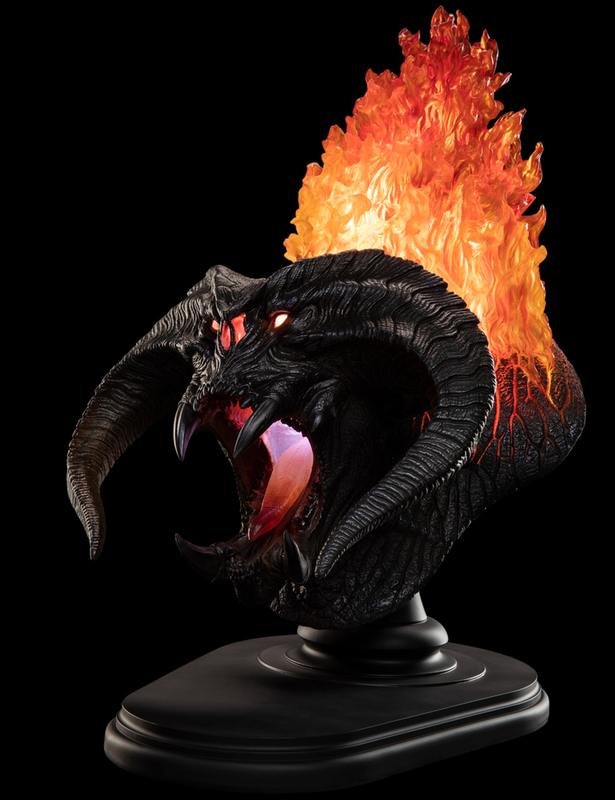 One of my favorite pieces from Comic-Con 2018 was the amazing Balrog bust that showed up Saturday of the show. I got to see this piece up close both as what you can order now and a pre-prototype. I have to say that I very much prefer what fans will be able to order. The clear resin flames that light up are so freaking cool and well done. Our friends at Weta Workshop have done a superb job of using the right paints to make sure these look just right, which is tough when you go for the clear resin on flames. Jamie Beswarick as usual knocks the overall sculpt of the Balrog out of the park and as a fan of the character I love his work on this creature. Fans can order this piece right now for $699 and with an edition size of 888 he won’t be around too long. As a bonus fans won’t have to wait too long to get him as he’s due to ship in November of this year.